Look at this rhino. Really look at it ... because the photos you see here might be the last glimpse the world will ever get of a Javan rhino. The fact that we're looking at these incredible images at all is thanks to a very ambitious project by photographer and cameraman Stephen Belcher. Earlier this year, Belcher crowdfunded an expedition to Ujung Kulon National Park (the only place on earth where Javan rhinos still exist). 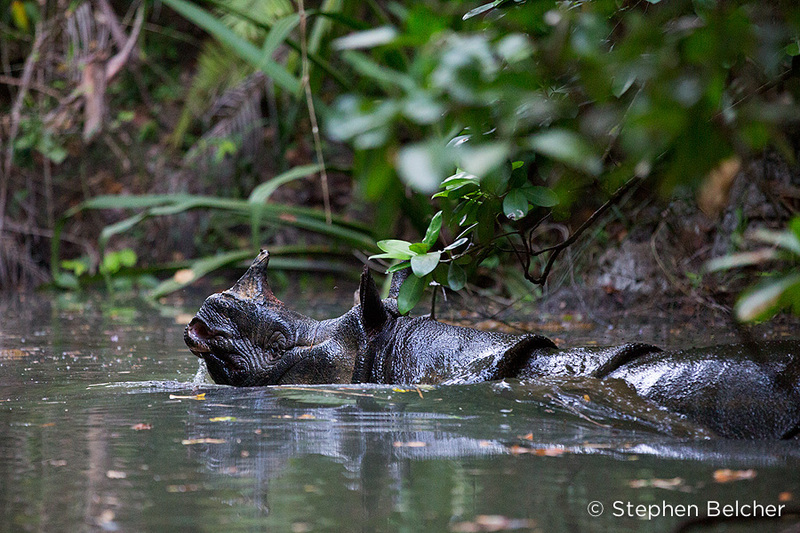 His mission was to get the first HD images of these critically endangered animals. There are very few people who have ever seen a Javan rhino. There are none in captivity and the only survivors (an estimated 35-50 individuals) all live in Ujung Kulon, deep inside an inhospitable and almost impenetrable jungle. The animals are so rare that the only footage of them in existence comes from camera traps. Belcher admits that his photographic mission wasn't easy. "At the start is was like trying to catch grey ghosts. All I could see were their footprints and nothing else." The dense jungle posed the biggest challenge. 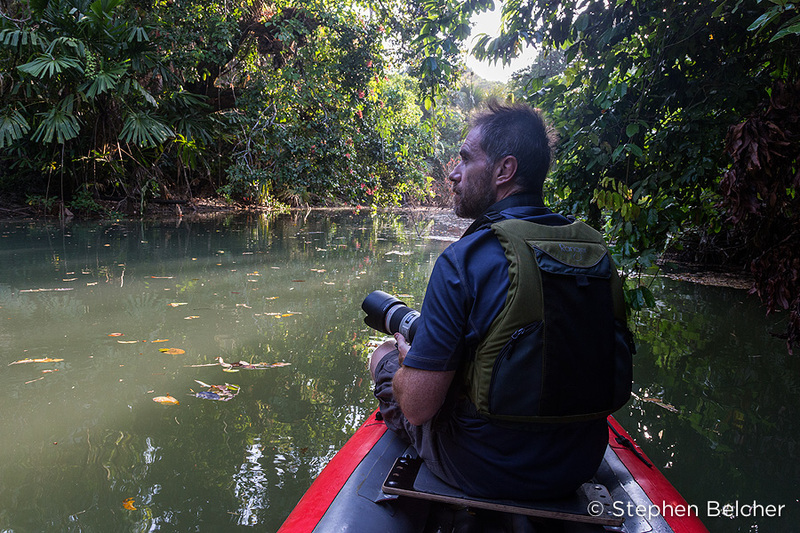 "The jungle is very thick and the rangers had to cut trails with machetes. It's so thick that it was impossible to track down the rhinos from their footprints". That's when Belcher switched to Plan B: long, slow journeys down the river in a (quiet) boat. The strategy paid off. 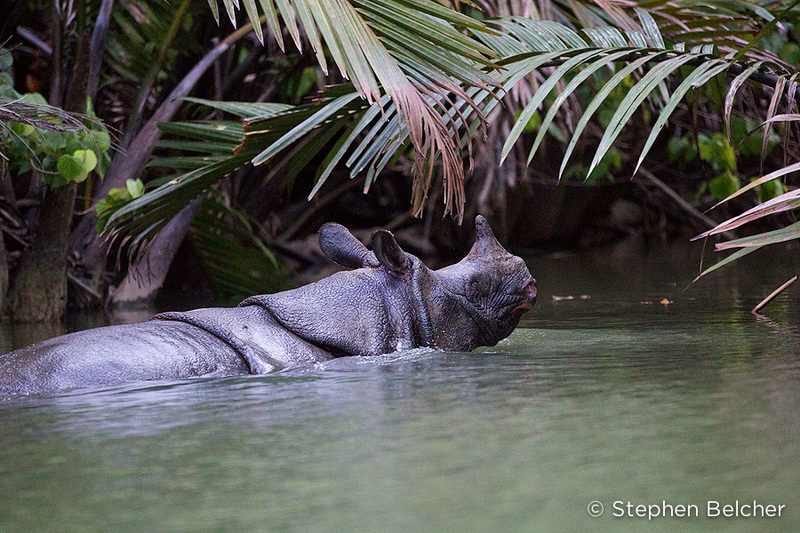 "I had 14 sightings of Javan rhinos with my own eyes and a further three on camera traps. I was able to take high-resolution images as well as HD video of these fantastic animals."